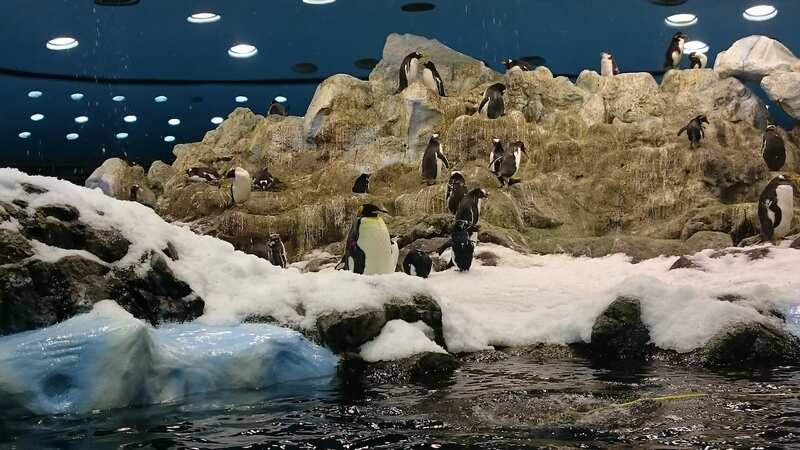 Tired of the beach life when visiting Tenerife, then you can take the tramway in Santa Cruz or you can visit Loro Parque if your wallet permits it. Read our honest and totally independent article about this amazing but a bit expensive zoo that sits in Puerto de la Cruz city, which is in the north part of Tenerife. Loro Parque Orca show is a humongous extravagant show for sure. But at the end they manage to squeeze Siam Park advertising even! Why???…. !!!! Love the orcas though! 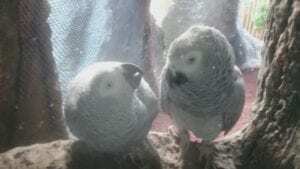 Two birds in Love… So adorable! Even with the high ticket prices and humongous of adverts that puts your mind on fire, the park itself is a worth visit. If you have the funds, those 30 Euros are well spent. 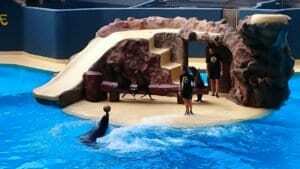 After being in Lisbon (Portugal), Berlin (Germany), Kristiansand (Norway) and now Loro Parque in Tenerife, Spain. I must say that it is amazingly well made and taken care of. It is very clean everywhere and the animals actually seems to have a great time there. I guess that the high ticket prices, makes the park survive. They also do lots of work to preserve animals and species. You can actually see how they work with small fishes and jellyfish. It’s so interesting seeing the tiny jellyfish for sure. The animal showcases of orcas, dolphins and seals are extraordinary. They are full of love and humour. Animals really seem to enjoy their life’s there and the trainers seems to take good care of them. However, some of the security persons did cruel things to visitors who didn’t reach the timed shows. That is not acceptable in my view. For spending 30 EURO, you should be respected. Spotted garden eel showing up from the sand. 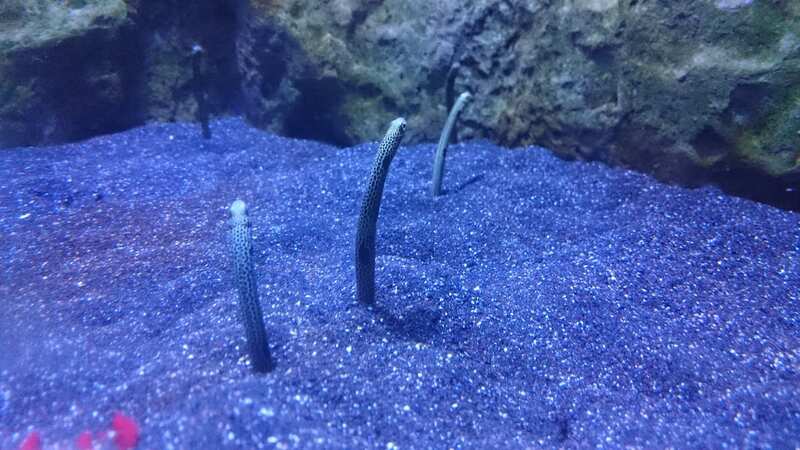 Amazing eel looking around up from the sand, looking like an alien of some sort. Really bizzare and awesome to look at. It’s nice to see penguins so close. They have no fear for humans it seems and they live in a place where snow is falling down on them from the roof. This park have a good eye on how to give the animals respectful life, even though they are in a zoo. The park does promote a lot for Red Pandas and White Tigers, but on our visit, we didn’t saw so much of these amazing animals. The Red Pandas did only sleep when we visited the park in the trees and the white tigers were sleeping? Except for this, lot’s of different monkeys, birds and fish could be seen. One of the more obscure and cool one I saw was the sand eel. With their heads sticking out of the sand, they really look like aliens from another dimension. Really awesome! 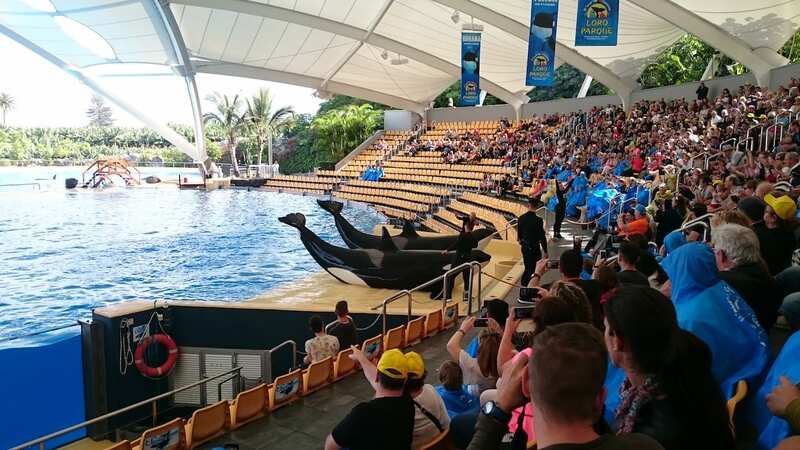 I hope you’re not scared away by our Review of Loro Parque on Tenerife. If you have the funds and ignore the ads it’s a nice trip for sure. If the adverts weren’t too much presented on the island and on the park itself, I would infact love this park a lot more. Also after we entered the park, we had to cue to be taken a photo of ourselves. Inside the park they also have a small roller coaster for children etc and all these things demands extra money or pushes you to actually pay more. With the stiff price of 30 EURO, all these stuff should be covered. Kiosks and Restaurants we understand should be able to take extra, but this park invites families and when just pulling money out of visitors pockets … Its really not a nice thing to do. But if you are able to ignore all this, Loro Parque is a fantastic visit. The park verdict would be a much more pleasant one if the park actually were a park and not a money hungry park promoting itself way too much. Ohh.. bonus score! There is a free touristic train going from the centre of Puerto de la Cruz to the park which is nice and entertaining for all ages.